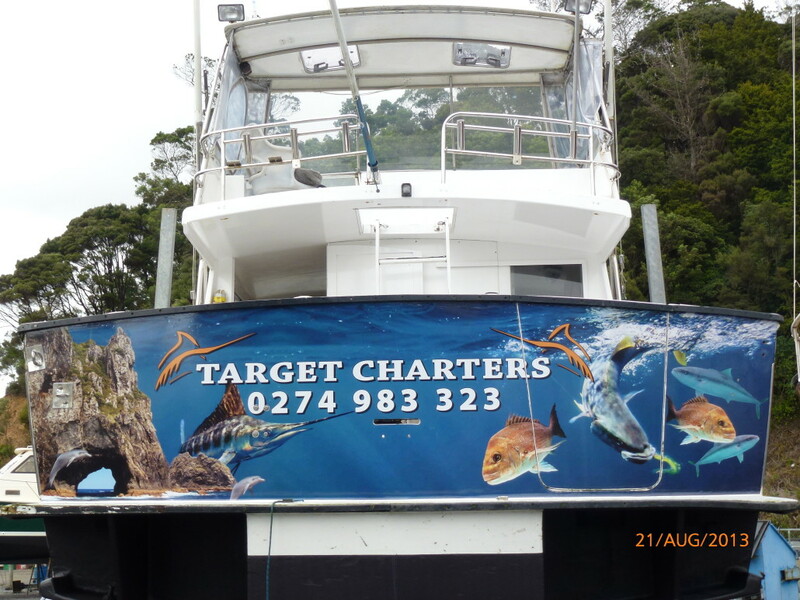 Ross and Frances Taylor are owner operators of Target Charters and are proud to live local in the Bay of Islands. 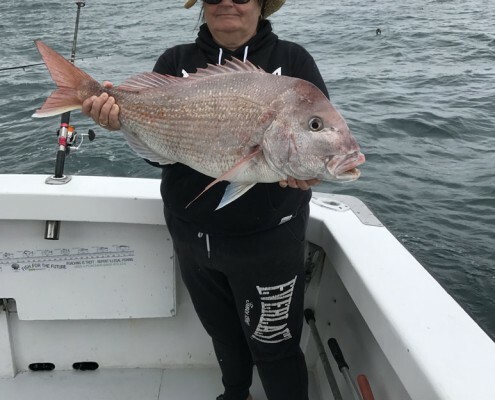 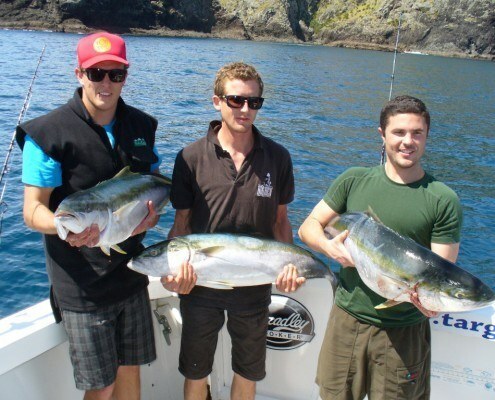 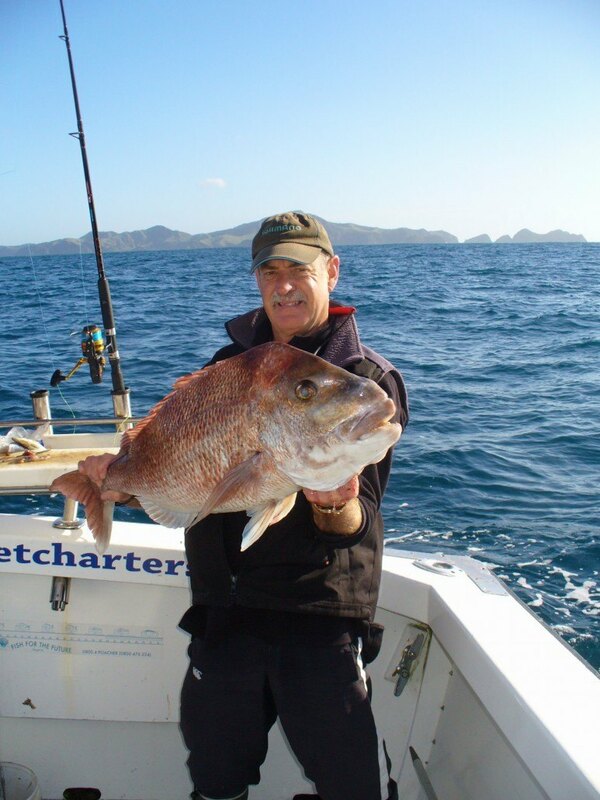 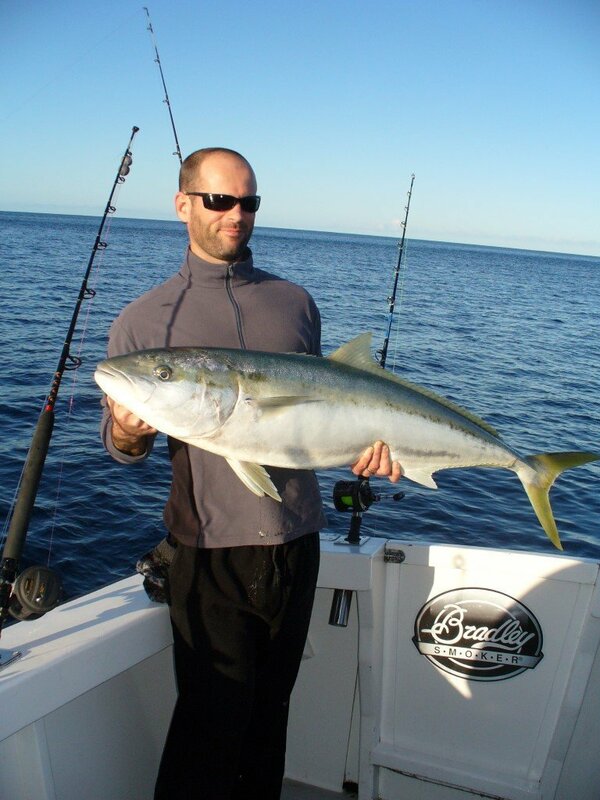 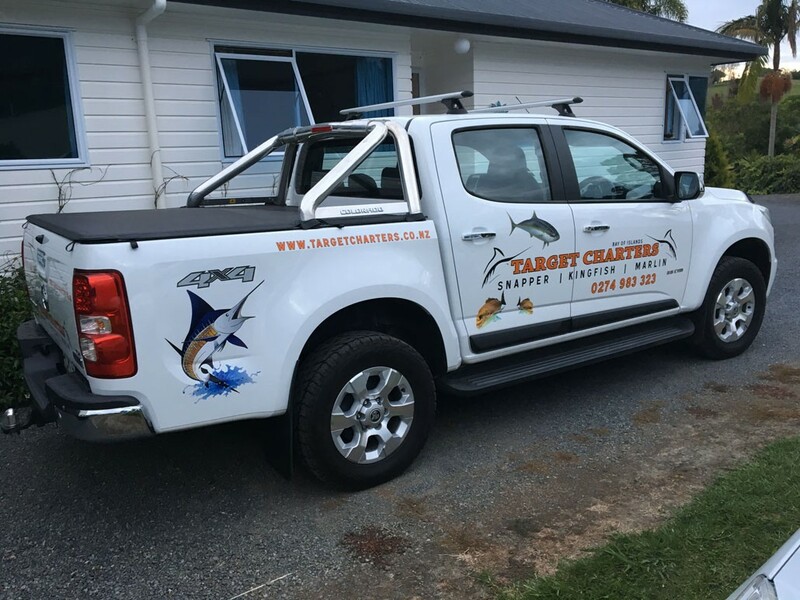 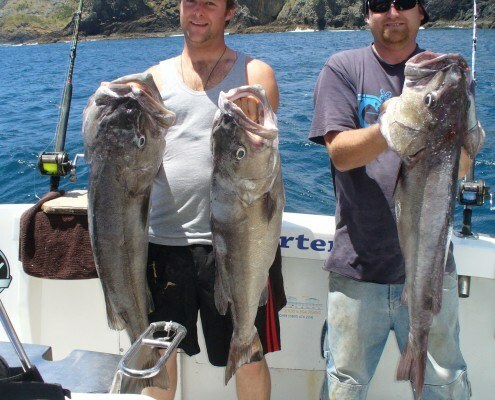 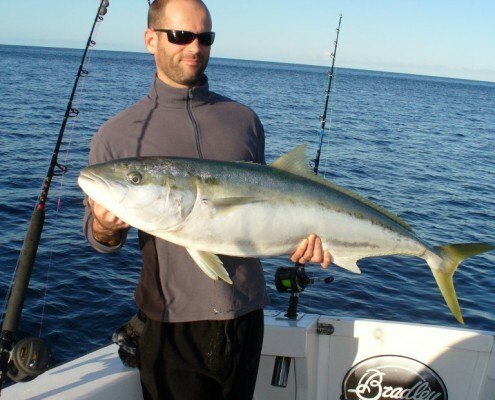 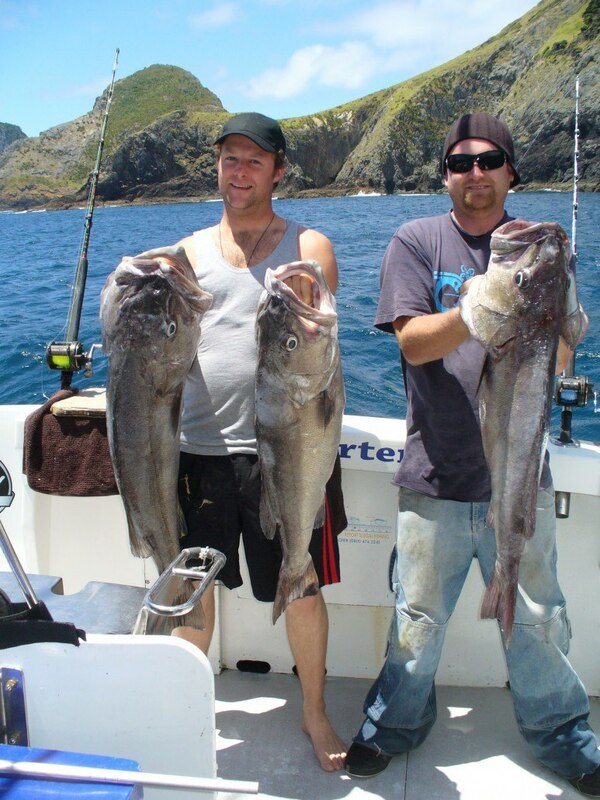 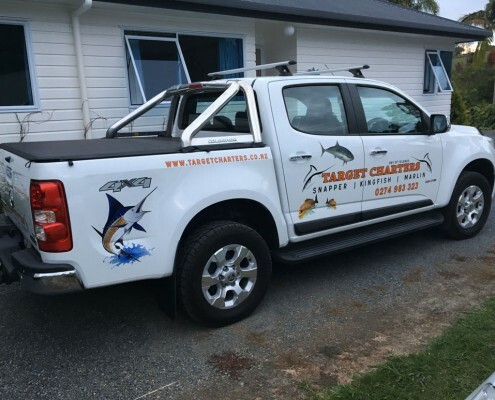 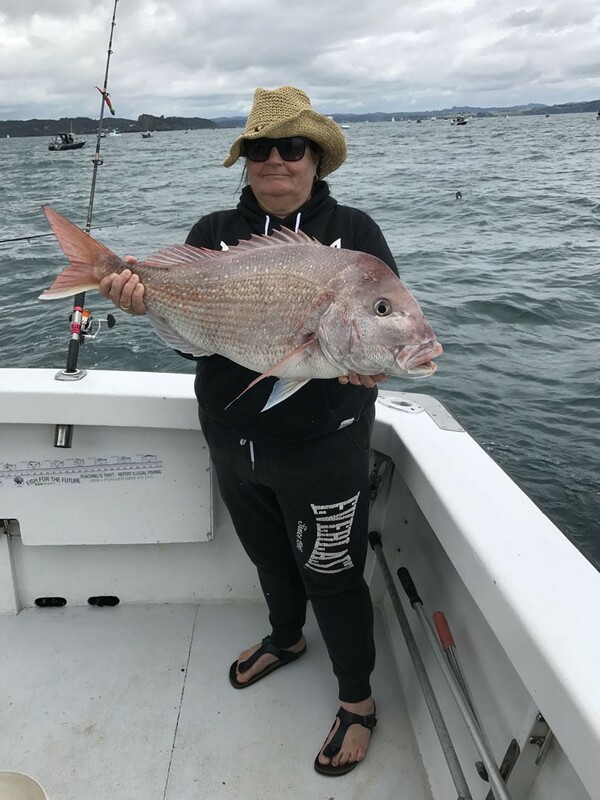 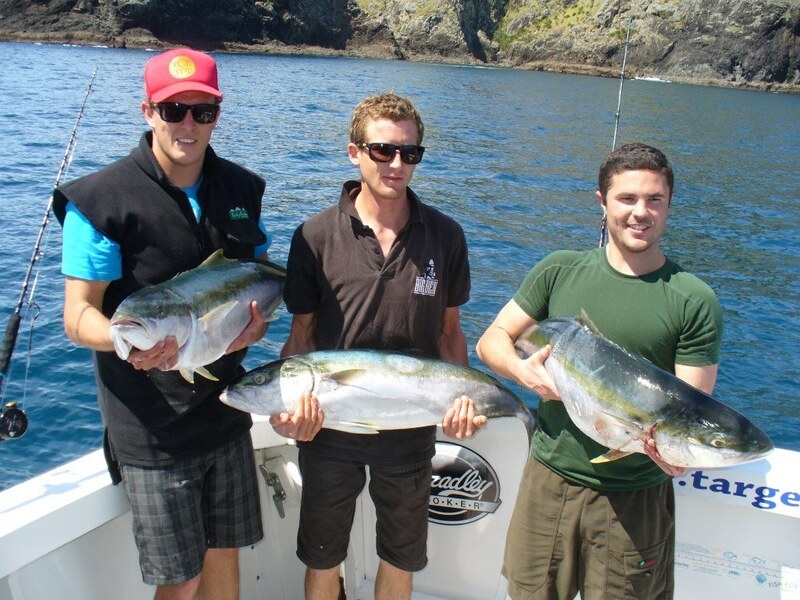 Ross has over 40 years of fishing experience in Northland and particularly the Bay of Islands. 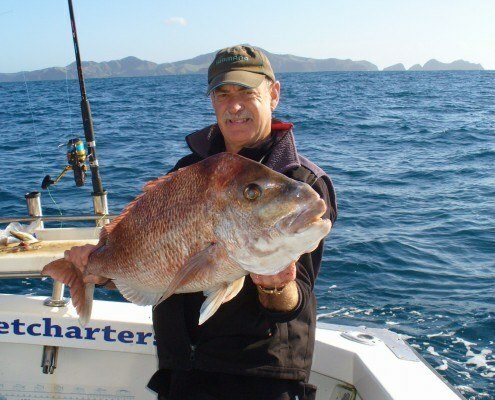 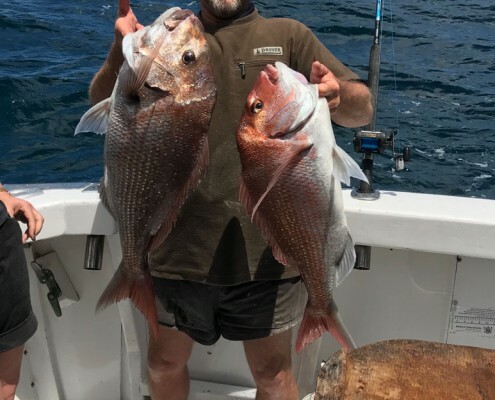 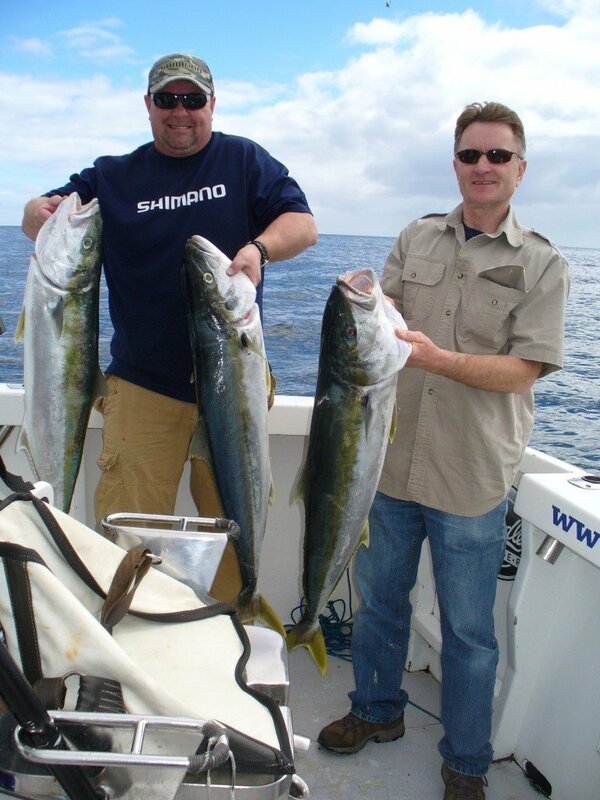 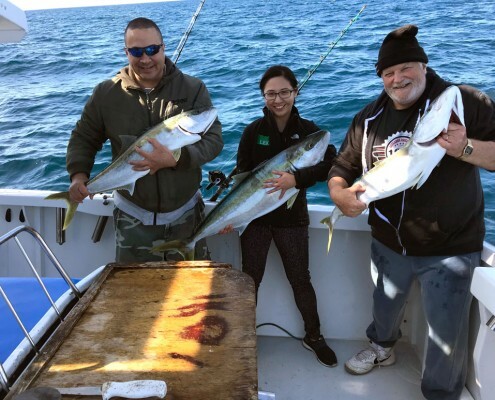 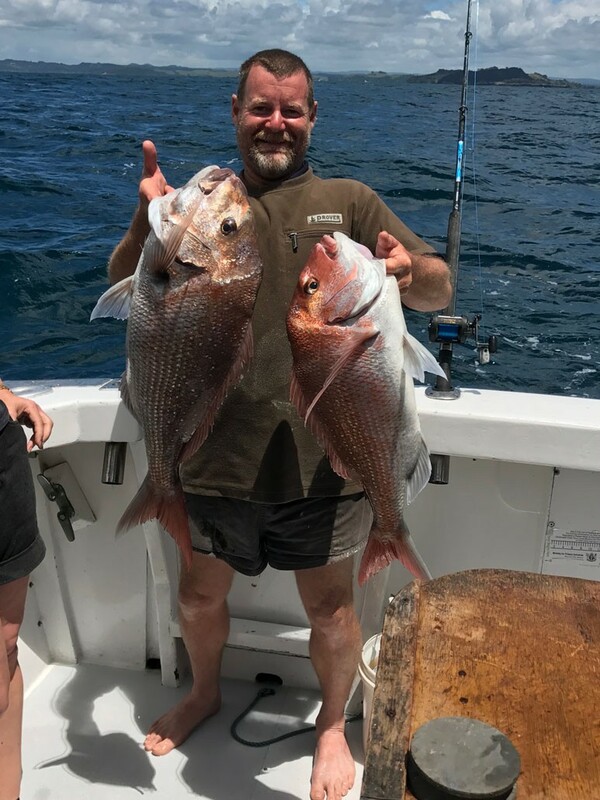 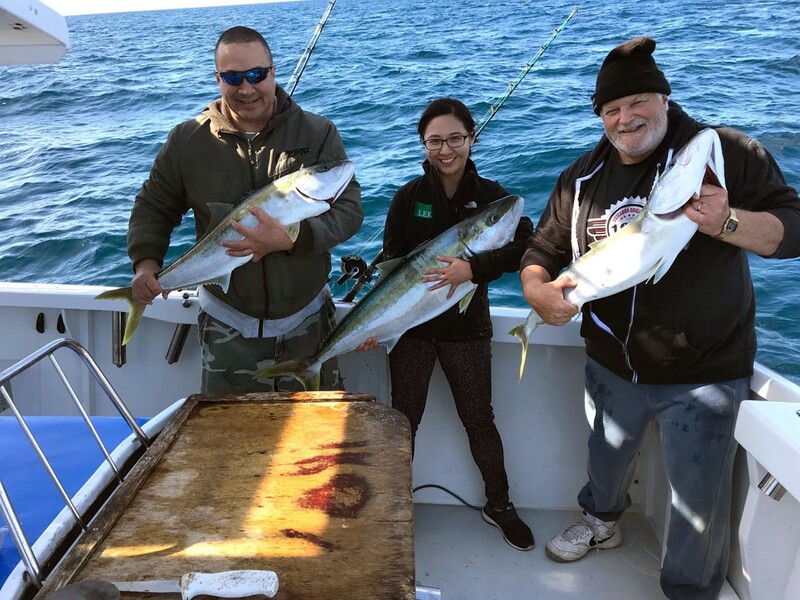 Fishing is Ross’s passion and he enjoys giving clients the best day in the bay by going the extra mile for them. 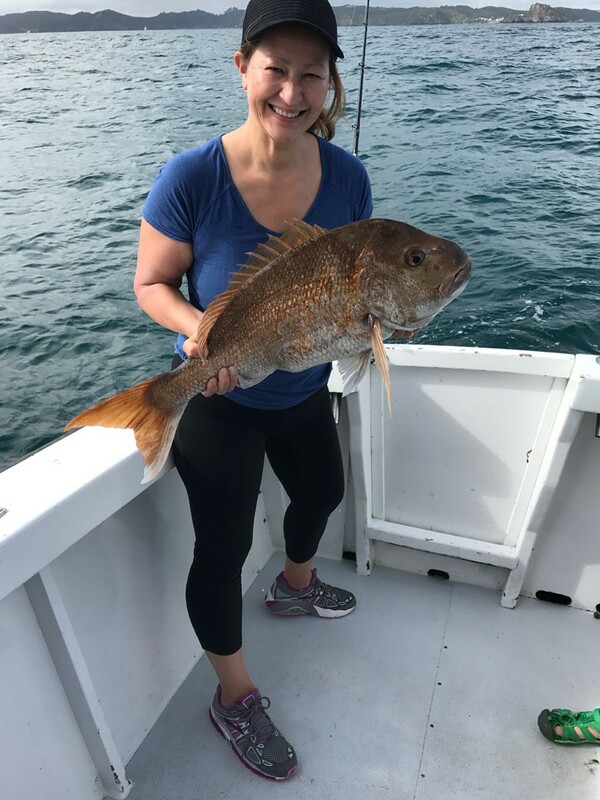 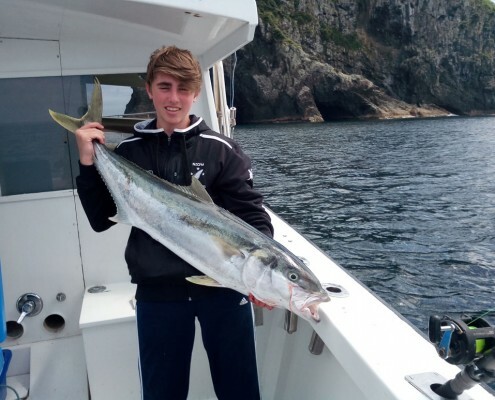 For the novice fisher person Ross is only too happy to assist with coaching and advice to help make their charter the best possible experience. 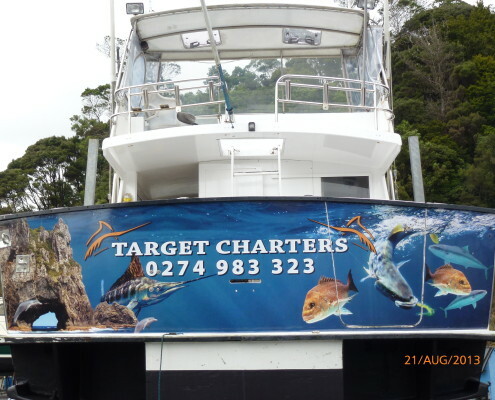 The Target Charter vessel is a comfortable 36 ft long, with a cruising speed of about 12 knots and a maximum speed of 20 knots. 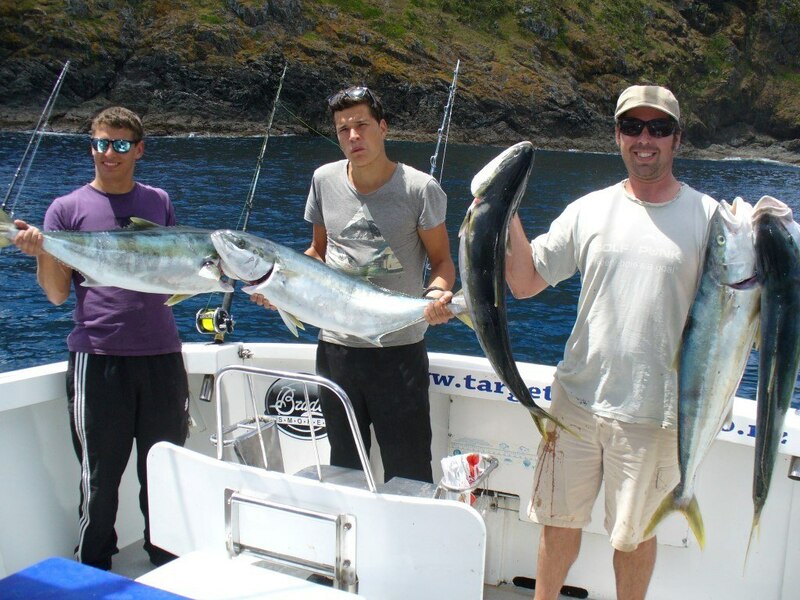 Target Charters offers a comfortable sheltered cabin with lounge seating and an easily accessible and fully private onboard marine toilet. 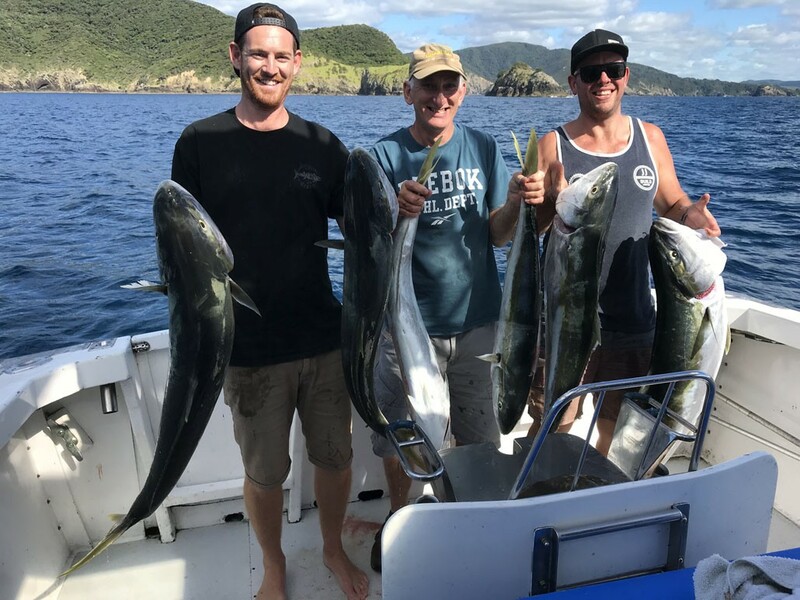 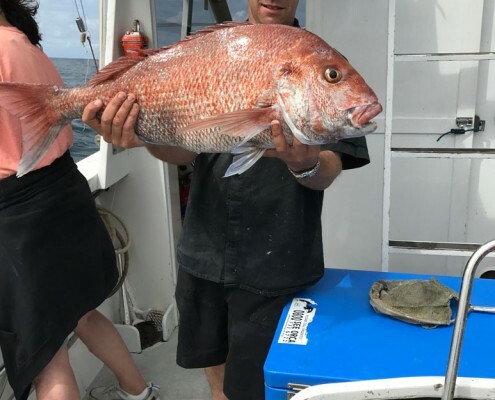 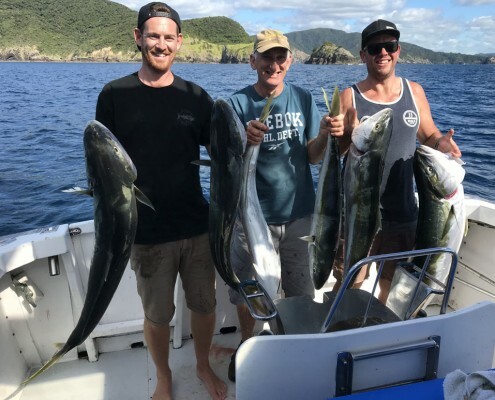 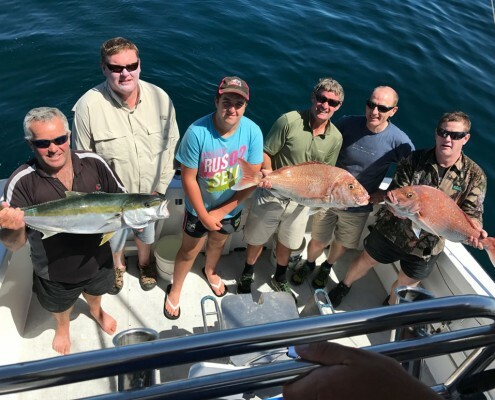 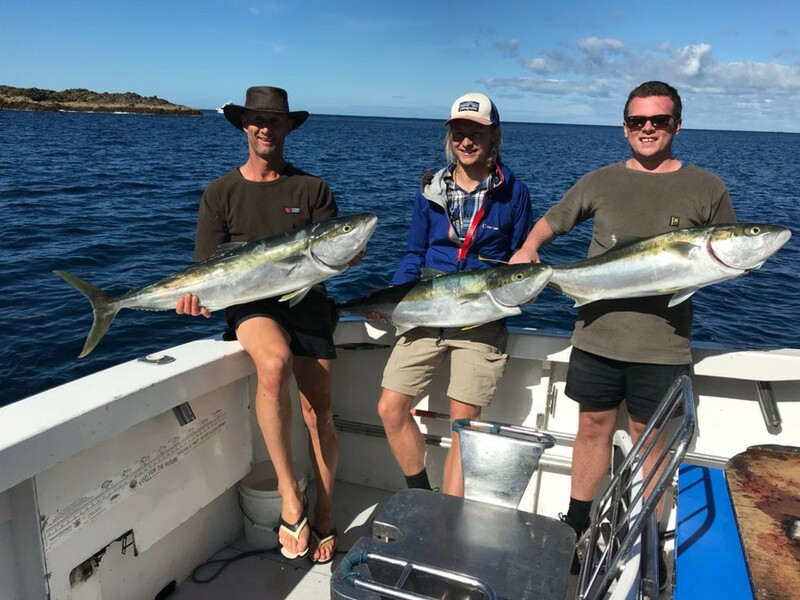 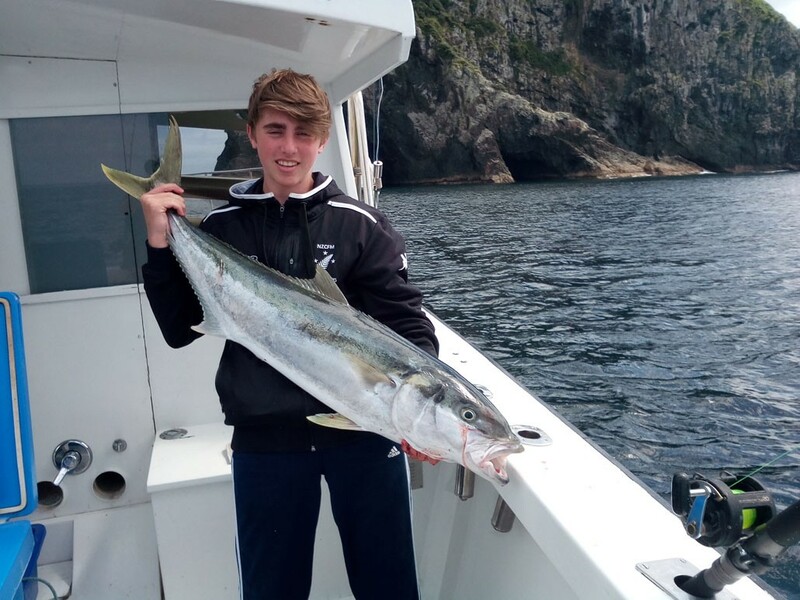 Our beautiful boat is fitted with a full galley featuring a gas cooker, with an onboard gas BBQ available on request – cook your catch onboard, and experience the freshest fish possible while watching the sun set on our beautiful Bay of Islands! 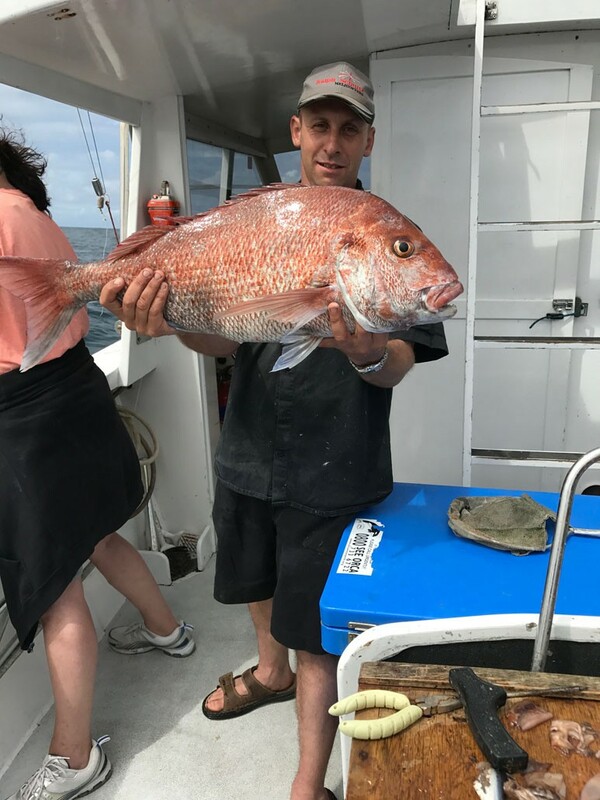 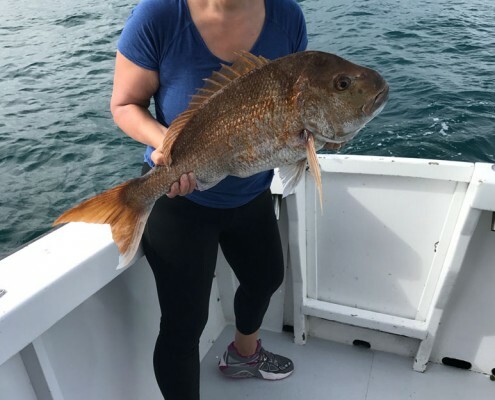 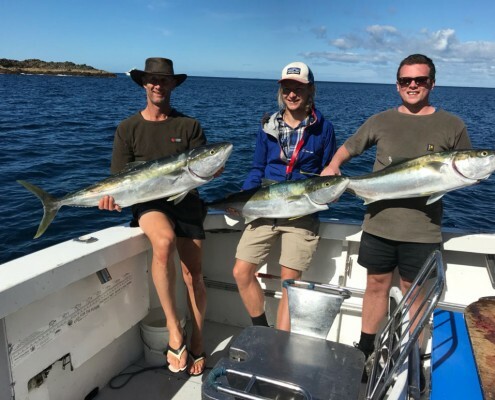 We have a modern Furuno Fish Finder/Chart Plotter on board to assist us in our fishing expeditions, and we are perfectly set up for game fishing with outriggers and a game chair. 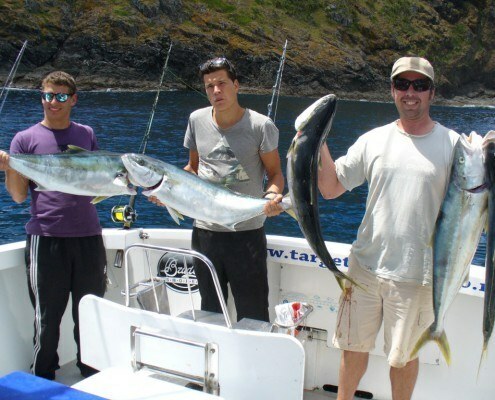 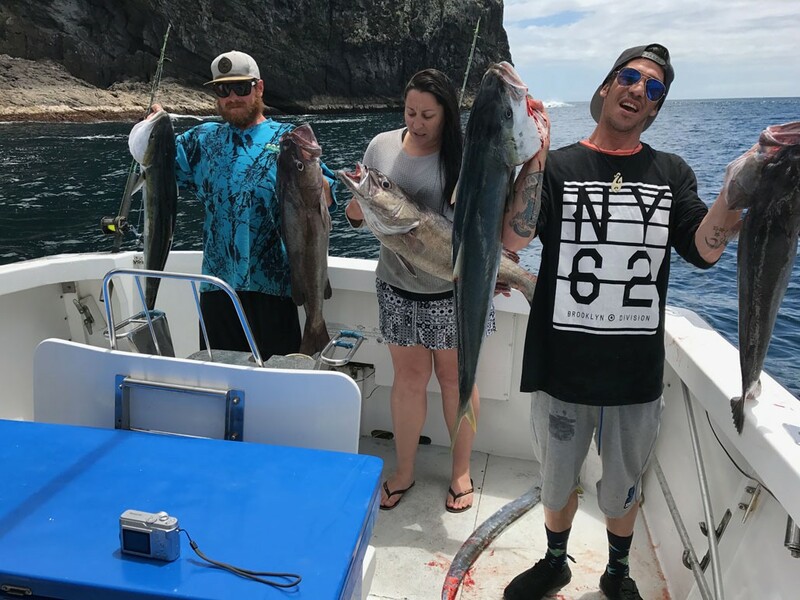 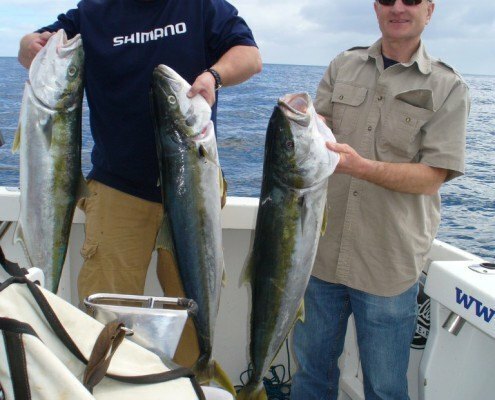 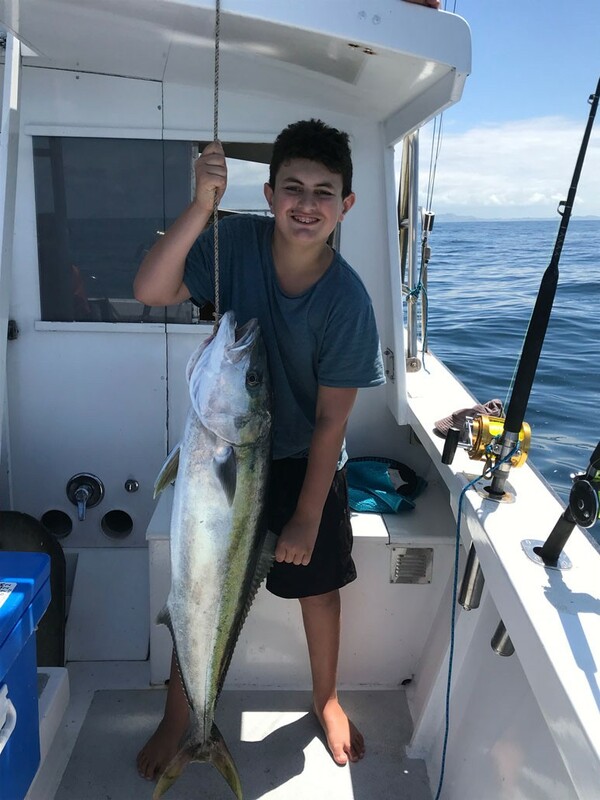 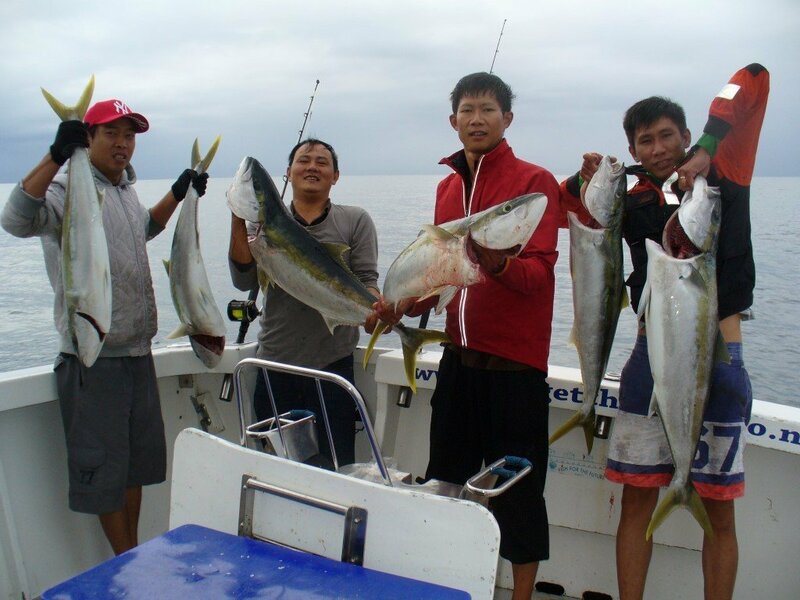 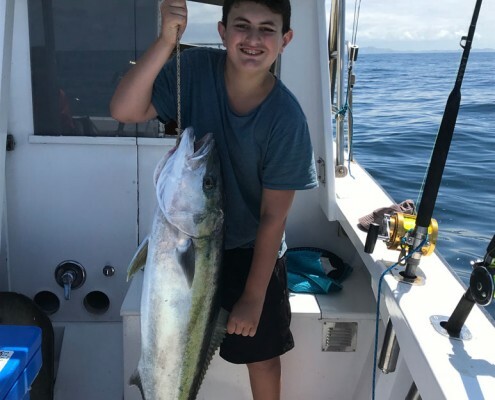 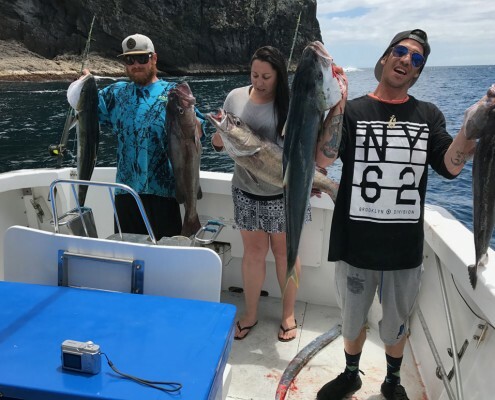 Our onboard fishing tackle is high quality Shimano gear, and our boat is completely compliant with all Maritime Safety Standards. 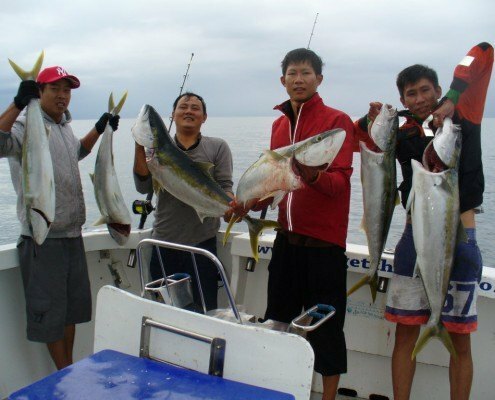 We are surveyed to charter up to 8 people plus crew.